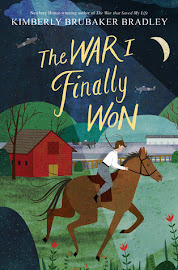 I'm a little behind on some reviews again, so I'm keeping my thoughts a little briefer than usual in order to get through several at once (not an easy task for me--I particularly had more I would have liked to say about The Railway Children). All three of these books are ones I read to or with my kids. I didn't grow up reading anything by E. Nesbit. In fact, I don't think I'd ever even heard of her until a couple of years ago. But she's definitely the type of author who told the types of stories my mom loved, so I know she would have been a favorite. I originally thought I'd start with Five Children and It and even had it checked out from the library last summer, but then I found this pretty edition of The Railway Children <---- at my local bookstore and made an impulsive purchase (rare for me since I usually only buy books I've already read). I read it aloud to my kids, and we all loved it. Truly loved it. It's about three siblings, Bobbie, Peter, and Phyllis, and when the story opens, something is seriously amiss with their father. They don't know what it is, but one minute, everything is fine, and the next, he is being whisked away without explanation. Their mother takes them to live in a small cottage in the country where she manages to eek out a living by writing stories and poems for magazines. Despite the abrupt interruption to their normal lives, the children are happy overall (although Bobbie is acutely aware of their mother's sacrifices and also that all is not well with their father). They grow quite attached to the nearby railroad and make friends with the stationmaster and porter and even a regular traveler on one of the trains. The language in this book is a bit detailed and old-fashioned (it was originally published in 1906), but my kids didn't even seem to notice (we occasionally paused so I could define a word for them or look up something we weren't familiar with, but that was it). I love that all of our consistent reading aloud over the years has made stories such as this one very accessible and not the least intimidating to them. And in spite of the older writing style, there is no shortage of adventure in this book: The children help alert a train before it plows into a rock/landslide; they save a baby from a houseboat fire; they rescue a boy from a tunnel after he falls and breaks his leg. 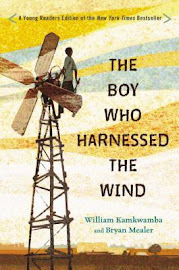 You can imagine that, with stories such as those, my kids were enthralled, old language or not. I really think E. Nesbit might have been the Beverly Cleary of the early 20th century. I've always been amazed with how in tune Beverly Cleary is with the actions, worries, and dreams of children, and E. Nesbit struck me in the same way. Bobbie, Peter, and Phyllis are not perfect children by any means. They fight and bicker, they get dirty, and they make poor choices, but they're also selfless and brave and kind. And of course it has a happy ending--the kind of ending that made me cry and made my kids roll their eyes at me while jumping off the couch in excitement themselves. P.S. Soon after we finished this book, I noticed that I could get the audio for just $2.99. It looks like it's still that price, in case you'd like to listen to it! Sometimes when we're trying to decide what our next readaloud should be, we have to take a vote. And this time, the next installment in the Poppy series won. 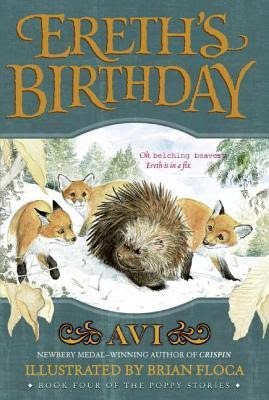 This one stars Ereth, Poppy's grumpy porcupine friend. It's his birthday, and he's expecting Poppy to remember it and do something about it. After all, she's that kind of mouse. But when there's no sign of her, he leaves in a huff and goes in search of some salt as a birthday present to himself. Things quickly go awry when he comes upon a dying fox in a hunter's trap, and she makes him promise to go find her three kits and tell them what happened. Ereth prefers to be a loner, but he doesn't know what else to do, so he finds the fox's den, and one thing leads to another until he's caring for the three fox kits--something he never would have imagined. Meanwhile, he's being stalked by a very sneaky, very patient fisher (an animal similar to a marten--we had to look it up, even though Max was already well aware what it was) who is hungry for some porcupine. Personally, I think I prefer Ereth as more of a secondary character than the main character. In the other books we've read, I've enjoyed his sour attitude and creative swearing, but it started to wear on me a little in this one. Everything he says is an expletive: "Bouncing bear burps!" "Phooey on all children with a squashed boll weevil on top." "Pulsating puppy pimples. He can start by chewing my tail!" My kids still thought he was absolutely hilarious, and many of his ridiculous exclamations made them giggle uncontrollably so that I had to stop reading until they'd calmed down, but for me personally, it got to be a bit much. I think my favorite in the series is still Ragweed, but this one was still enjoyable and definitely different than the books that came before it. It has been so much fun reading some of the same books as Aaron, so one of my reading goals for 2017 was to do the same thing with Maxwell. I knew it would be a harder sell with him, and this book confirmed my apprehensions. It was actually so much fun to read the same book as Bradley. He was always very careful not to get too far ahead of me. He would read a couple of chapters and then wait for me to catch up. 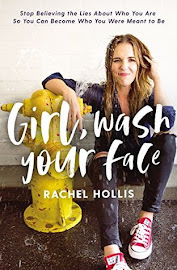 The book itself was fine; it's not going to be something I rave about to all my friends (and you know I do that with some children's novels), but I'd be happy to recommend it to those same friends' kids. It's about a boy named Cal and his grumpy old dog, Frankie, who live next to an introverted, eccentric inventor. Everyone else in the neighborhood is super annoyed by all the noise and the mess created by Mr. Frout, but Cal is fascinated by it. Mr. Frout usually doesn't like children, but Cal is different (quieter, less invasive), so Mr. Frout lets him hang around. 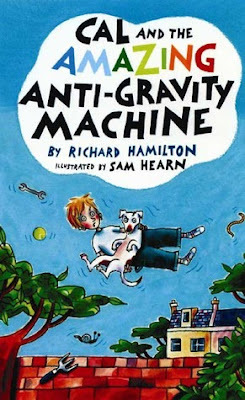 Cal knows that Mr. Frout is experimenting with gravity, and one morning he crosses the fence early, before Mr. Frout is out, and pulls the lever on Mr. Frout's new machine (so much for being less invasive...). Suddenly, he's floating, and it's the most wonderful feeling in the world. But things get a little crazy when he tries to bring back gravity and moves the knob to "anti-gravity" instead. Things aren't so fun anymore, and Cal has to think quickly before they all get pulled into space. So I'm not exactly sure what I'm going to do about my goal to read a few books with Max--I'll keep trying (and hopefully he'll come up with a book himself, and I can just tag along), but in the meantime, I'm happy to read some books with Bradley. What have you been reading with your kids lately? Suggestion for Bradley, Dory Fantasmagory, our 17 yr old son recently read it to his younger brothers and they loved it. Oh yes, we LOVE Dory. Bradley has read all three, some of them multiple times. We'll have to see about The Railway Children movie! Thanks for the tip! I was wondering if Clark had started listening to the chapter books now as well. 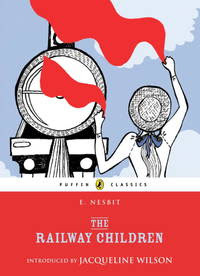 I'm glad you guys enjoyed The Railway Children -- I think that's my favorite Nesbit. The Wouldbegoods is another non-fantasy one, if you liked that part. I remember The Thief (by Megan Whelan Turner) as being a hugely popular read aloud for my boys in elementary school. Hmm, maybe you could try leaving out some series books for Maxwell? The Warrior books (cats in a society of their own), Redwall, Mad Scientist, Tesla Kids. Maybe he could test The Secret Coders for me? I'm looking for a book gift for a 1st grader friend of mine. Clark hasn't started listening to chapter books yet, but I expect he will sometime during the next year because all of my other kids started listening sometime between their third and fourth birthdays. I'll look into the Wouldbegoods because I would love to read another Nesbit. I'm also not opposed to checking out her fantasy, even though that's not always my favorite genre. I read The Thief several years ago to myself. I know a lot of readers LOVE that book, but for me it was just okay (probably because of my lukewarm feelings toward fantasy), but I bet you're right that my kids would like it.